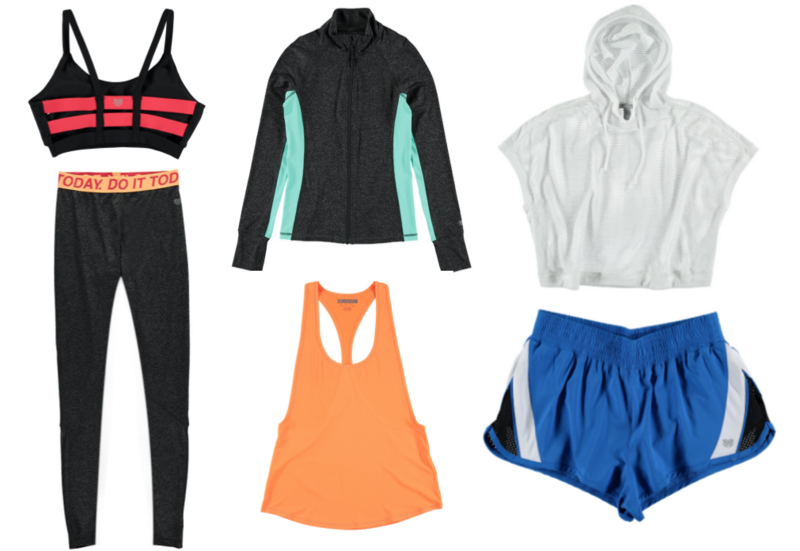 Forever 21’s new activewear range for 2015 is definitely going to get you motivated to work out this January. Just by looking at this collection I am even considering the gym or at least doing one of my workout videos, I am pretty awful when it comes to doing any fitness, someone help me! The collection launches online and in stores on January 9th and the theme is ‘Fit, Fashion.Function’ so not only does it look ever so fashionable it’s of course designed with the real purpose in mind. The range features sports bras, leggings, tops and jackets all geared towards working out a serious sweat. Key attributes of the clothing are a tight form fit, wicking flat lock seams, key pockets and a gusset design for extra comfort. The range is bright coloured and I love the ‘RUN’ logo on the shorts around the waistband. Fronting the campaign shots is top Australian model Shanina Shaik, who looks stunning in the workout gear. Forever 21 is also partnering with fitness bloggers and personal trainers Felicia Oreb and Diana Johnson of Base Body Babes Pty Ltd. The two will be curating a 30 day fitness challenge and encouraging Forever 21 customers to get involved with the challenge by posting on Instagram a picture of their active lifestyle following the tips of the dynamic fitness duo for the chance to win one of five new active looks. The fitness challenge is open from January 1st to January 30th and can be found across Forever 21 social media. Here are a few of my favourite pieces from the range which will be available tomorrow, Jan 9th at forever21.com.